How dreamy is this bright, airy bedroom? 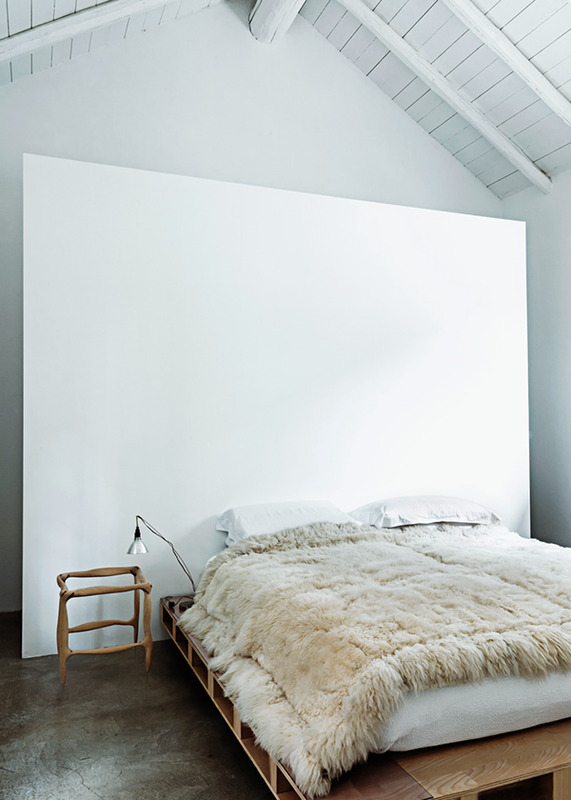 Love the high beamed ceiling and the contrast of the fluffy bedspread + wooden details against the concrete floor. Definitely wouldn’t mind waking up here in the morning, such a calm, peaceful space!